Something strange lands on the table. It looks like an escapee echidna from a bushfire. "Bombe Alaska?" suggests one neighbour. "Deep-fried dahlia?" proffers another. Nope, it's carciofo alla giudia ($9), literally artichoke in the Jewish style, a dish that originated in Rome's Jewish quarter. 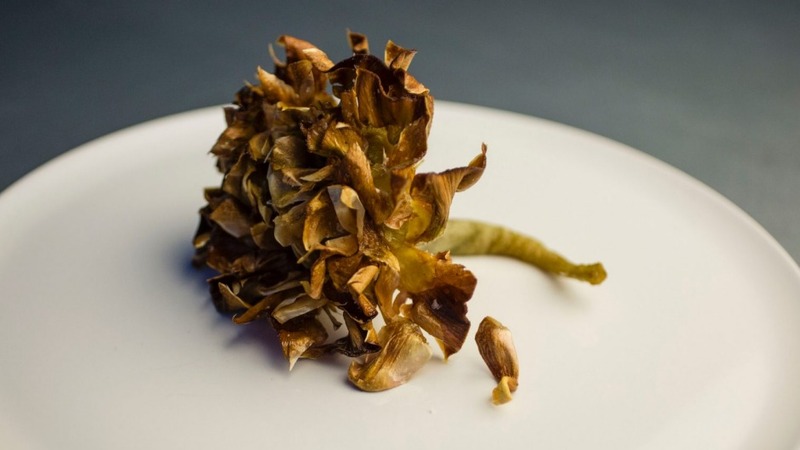 You strip a whole globe artichoke of its tough outer leaves, bash it to open the remaining leaves, then fry it in olive oil until darkly crisp outside and soft and steamy inside. Sounds simple – and it is, in the way that any highly evolved dish of an ancient culture is simple. For Flavio Carnevale, it's a major part of his mission to transform his popular, southern Italian Popolo into an outpost of Roman cucina povera, with young chef Christuan Jordaan​ in the kitchen. Now renamed Marta, after the dragon-slaying patron saint of hospitality, Marta proudly posts a weekly wall calendar of daily specials – the sort that makes you wish you were there on Saturday for the pork or Sunday for the lasagne rather than Tuesday for the ravioli. Dish of the day for Monday (when they are closed) is listed as: "You're cooking". 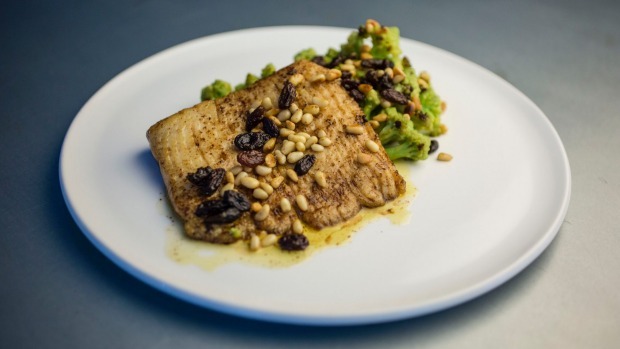 The printed menu kicks in every day with grilled asparagus with soft egg yolk, rice and beef suppli (croquettes), bucatini with mussels and cherry tomatoes, and pan-fried skate wing with romanesco broccoli. There's also a variety of schiacciate (pronounced skee-atch-artay) – hand-pressed, lightly worked pizze from the wood-fired oven topped with, say, smoked mozzarella and spring vegetables. A handful of gnocchi fritti makes a great start ($10), the fried potatoey pellets strewn with pecorino and black pepper. 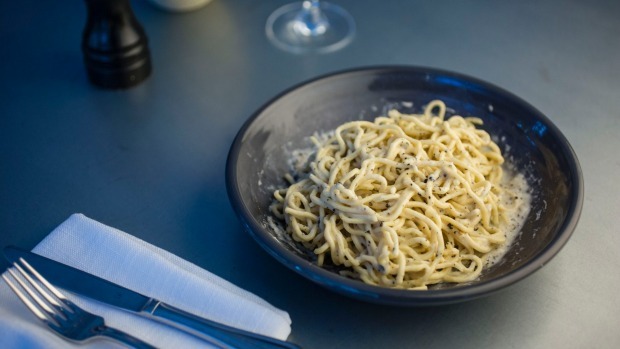 That combo – sheep's milk cheese and pepper – has been on repeat in Rome for centuries, and pops up again in the bombolotti alla carbonara ($22). The inner tubes of pasta are coated with egg yolk, crisp guanciale, pecorino romano and a good belt of freshly ground pepper that leaves the tongue a-tingle. 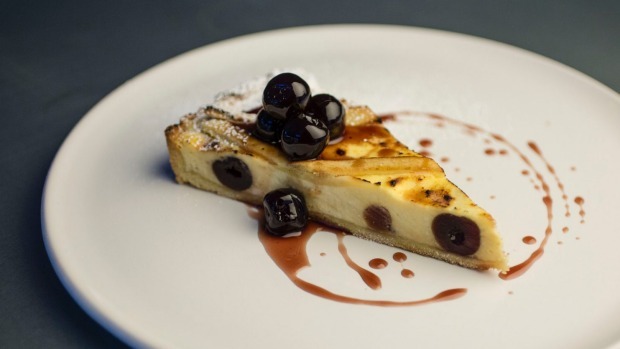 It's almost austerely good, without being over-the-top creamy and mawkish. Melbourne's DesignOffice has met the brief with zinc, oak, leather, Italian green marble and dramatic feature lighting that opens the indoor space to merge into the outdoor courtyard. 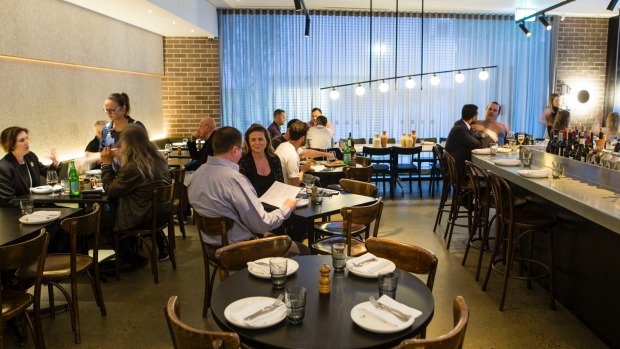 The bar is inviting, the elbow to elbow tables are both large and small, and the back wall looks as if someone has thrown hundreds of strands of spaghetti over it. For the scottadito, Marta grills big, meaty, almost muttony, long-boned tomahawk lamb cutlets ($11 each) instead of the traditional, tiny abbacchio from milk-fed lambs, and there's none of that "burn-the-fingers" sizzle. Today's special is coniglio (rabbit, $32) done in the cacciatora style with a thick, rustic sauce of olives, served on polenta. I don't know why I keep ordering rabbit; it's always dry and chewy. Lazio's influence extends to the aperitivi and wines, including a crisp 2016 Falesco-Montecchio white from the renowned Cotarella family. Note also the wines aged with minimal intervention in large earthenware amphorae, decanted into sweet, small amphorae custom-made by Sydney's Studio Enti and Little White Dish. Carnevale has Fratelli Paradiso heritage as well as Romano, and there's a depth and elegance to the hospitality at Marta that packages up the food offering and lifts it to the next level. Even in Rome, it's not all about the food. Vegetarian Good choices in antipasti and schiacciate plus one pasta, one risotto. Drinks Focus on wines from Lazio and other Italian regions, plus 28 aperitivi – it's going to be a very spritzy summer. Go-to dish Carciofo alla giudia, $9 each. Pro tip On a balmy evening, sit out on the terrace and pretend you're in Trastevere.